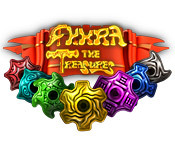 Akhra: The Treasures is rated 4.3 out of 5 by 6. Rated 5 out of 5 by Luvago from It's nice to slide for a change I enjoyed this game as it almost seems peaceful & relaxing due to the sliding & occasionally line drawing to connect the pieces = match 3. You have to check what mode the game puts you in, by looking @ square above the board. There is timed & relaxed modes. The sounds & music are quite relaxing, no loud explosions etc. There are 100 levels & 9 mini games ie catch falling gears for rewards etc Akhra is about a Professor journeying to Akhra to find treasure & he needs tools. So you can find pieces to make these tools in the workshop. He also needs maps - you find the pieces which appear @ times after level is completed & then you finally assemble these, to travel onwards. I must say I found the rules/tips a little hard to take in , so I just continue on regardless & achieve the goals given for each level, but not with help from the powerups (which as usual you are able to collect) Occasionally I even had a blank moment, not being used to the sliding up & down & back & forth method, but I just had to buy it, as it was so different. Rated 5 out of 5 by lilyfield1 from Alltime favorite I have had this game for a long time and have to say it is the only one that I found that had all the variety, challenge, and uniqueness I could want. I only wish there were more like it. It is also very visually appealling, an important factor for me. I keep going back to it from time to time because it is never boring. Rated 5 out of 5 by chairchick from Fantastic Match 3 game Akhra is my favorite Match 3 game on BFG, and I own about 2 dozen of them. 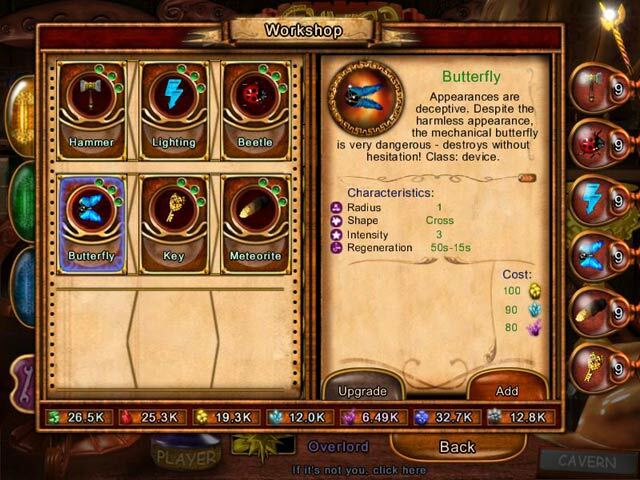 Great features: ** There are over 100 levels to the game. I personally love games that make me work to get to the end. If I like the game experience, I want to spend hours and hours playing to the finish. 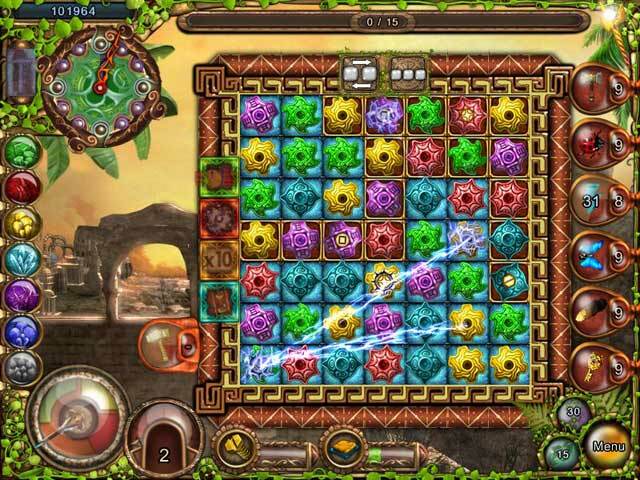 ** There are 4 types of matching formats used in the game (drag-the-row or-column to line up the match, swap, create chains, and rotate a group of 4), and 2 types of finished forms (standard lines of 3 or more, or groups (think Tetris shapes)). The only con for the whole game, if you care about this, is that you don't get to choose which you do for each level, the game presets it. I don't like making chains, so luckily for me, it's the least commonly used format. ** You collect "resources" in the form of different types of elements, which you then use to manufacture your game power-ups. You can collect these resources by playing the main game, or by playing mini-games you unlock, or by going into a cavern and mining the elements, or by re-playing past levels. ** You earn bonuses that automatically activate during play, also using the resources you collect to construct and upgrade them. ** The music is annoying, but the visuals are stunning, and the game sound effects are awesome, which is why I'm giving that sub-category 5 stars. ** The storyline is interesting enough to read through if you care about that kind of thing, but skippable if you don't. ** You can play on relaxed mode (my preferred way to play) and puposely drag out completing a level so you can maximize resource collection (or to drag out the matching. Again, my preferred way to play). Or you can play on timed mode and speed your way through. ** There's a Statistics page that keeps a running count of the different kinds of things you've done in the game (Resources collected, power-ups used, etc). I have been playing the current game for over 15 hours and I'm only on level 89 out of 105. Since I like the long-slow play method, a game that allows for that is my idea of heaven. But if you play for speed, I'm sure that the game would be satisfying for you, too. Definitely a must-have for match-3 fans. 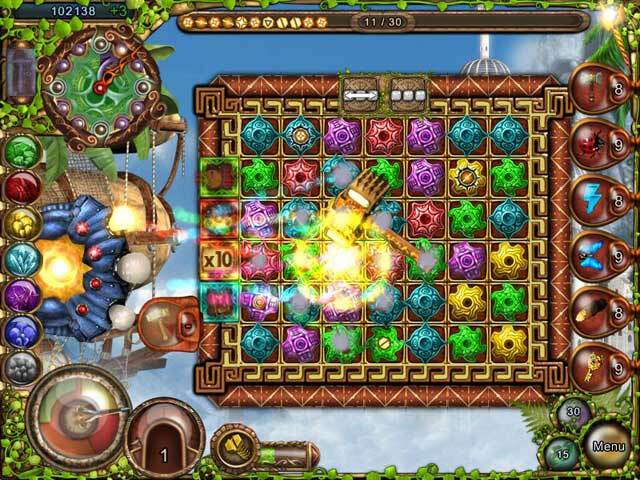 Rated 5 out of 5 by Johny_d from Best game for fans of bonuses Great game, I can't stop playing! Such a number of different bonuses! I love bonuses and tasks to get them. Upgrading bonuses is breathtaking for me. When I got the «Scepter of Haste», it was really exciting. Nice graphics, but music is not ideal. So 4 in "Visual/Sound Quality". "Level of Challenge" is great. But if becomes too hard you can switch to easy mode any time. As for "Storyline". Its not a book, but lots of humor and interesting facts makes the game impressive. Rated 1 out of 5 by bren0408 from HORRIBLE! What did I miss that others didn't? Very very detailed but I have always liked detail. I played this because of all the great reviews but I hated it. It was not explained well and there were far too many details and steps involved. It is the FIRST time I have ever played a game where I felt confused and, well, plain stupid. If you play this, I hope you like it better than I do!! !